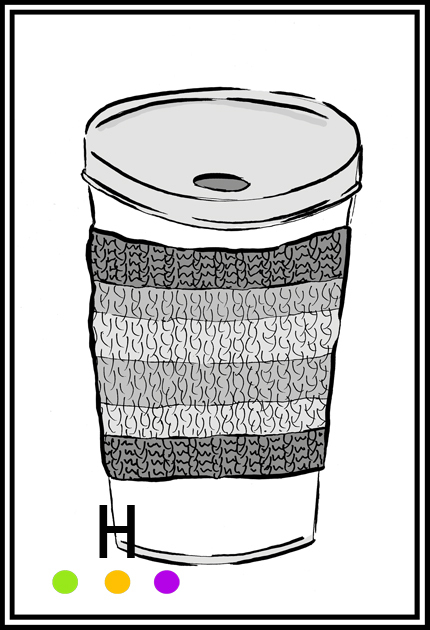 I have been wanting to add an illustration to the packaging of the “Coffee Sweaters”. As I have another group of sweaters ready to package up I thought it was the perfect time to do the illustration and create the tags. I wanted something simple, basic and a little rustic. The illustration originally started out at about 8 inches high. I then scanned the image and cropped it down to 1.5 inches by 1.5 inches. The size was to match a tag I currently use in packaging. The tags are printed on a heavy beige paper with mottling; I think it is a nice change from stark white. 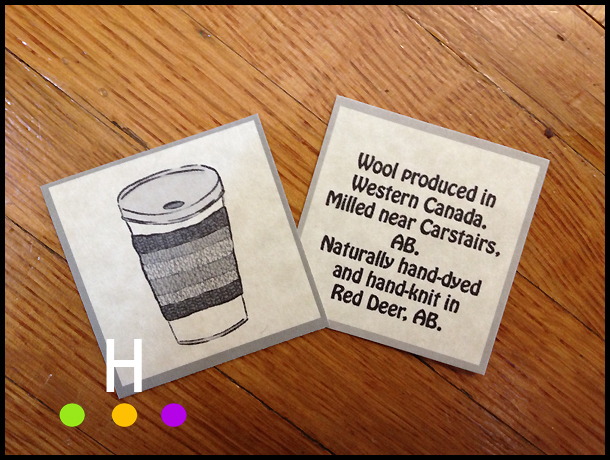 The tags are displayed alongside a “Coffee Sweater” that has been naturally dyed in Lac. 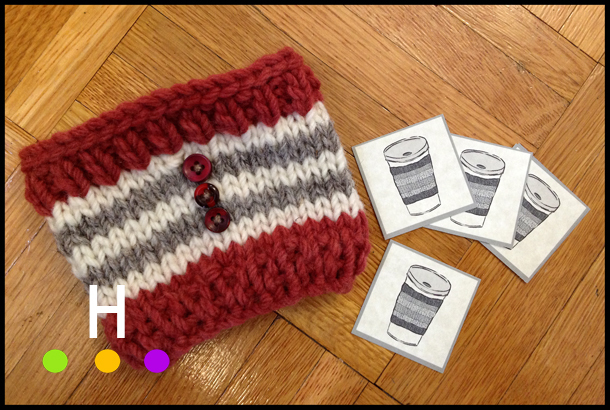 I hand dye and hand knit all the “Coffee Sweaters”. They are embellished with re-purposed buttons which creates a fun “not so matched” look. On the topic of buttons, I have been back at making wooden buttons. These ones are from a neighbour’s tree that blew down in a storm. Branches give a very rustic and natural look (obviously!) . The buttons on the left are the natural color, while the ones on the right had a dip in an exhausted logwood dye bath. I think the dye bath really enhanced the character of the buttons, and the color worked better on the “Coffee Sweaters” I attached them to. I am hoping to photograph the latest batch of “Coffee Sweaters” in the next few days and then I will share the pictures here. A Fresh Batch is Ready ….Coffee Anyone?